Yu-Gi-Oh! TCG Event Coverage » UDS Invitational Lima, Peru: ATTACK OF THE GIANT CARD!! Home > 2017/03 - UDS South America Invitational - Peru, Ultimate Duelist Series	> UDS Invitational Lima, Peru: ATTACK OF THE GIANT CARD!! 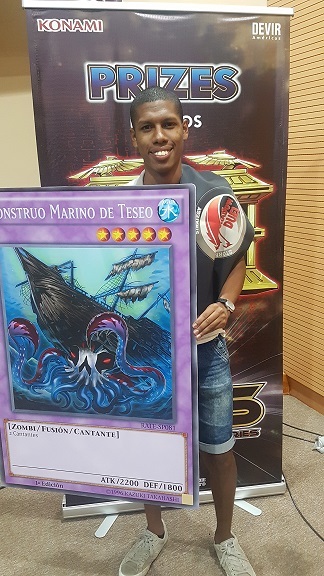 UDS Invitational Lima, Peru: ATTACK OF THE GIANT CARD!! Congratulations to Santiago Acevedo from Lima, Peru, winner of Saturday’s ATTACK OF THE GIANT CARD!! tournament!